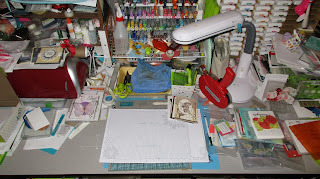 Well, you didn't get to see my desk last week as I was up early and gone by 7 am my time. I was heading to Chandler, AZ (southern suburb of Phoenix) for our 3rd annual company convention. My desk was a tad empty but you should have seen it yesterday morning! All my purchases! Oh my! It took me about 4 hours to get all the new products inventoried, indexed, and more! Hope to be able to play later today. But back to today. Yeah, it's the day you get the opportunity to see what's going on with my desk. 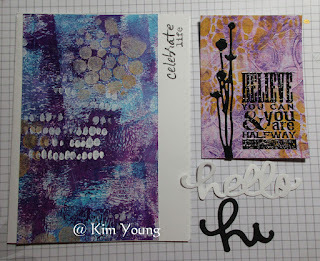 And this fun blog hop is brought together by Julia at the Stamping Ground. This is week 419 and I'll share 2 of the ATCs I got 2 weeks ago in celebration of WOYWW's 8th anniversary. Right now I have my Father's Day cards at the top right of my work paper and to the right of those are the swaps and trades I collected at convention. I have yet to look through those. Other than that, my desk is empty. Whew! I put the names of who I got these from. 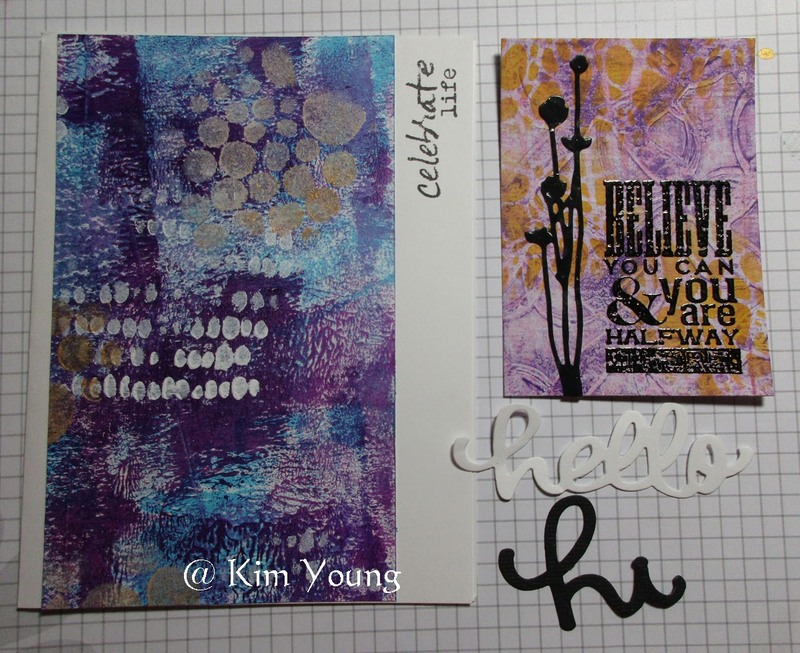 Kim sent hers in a fabulous card (shown on the left)! 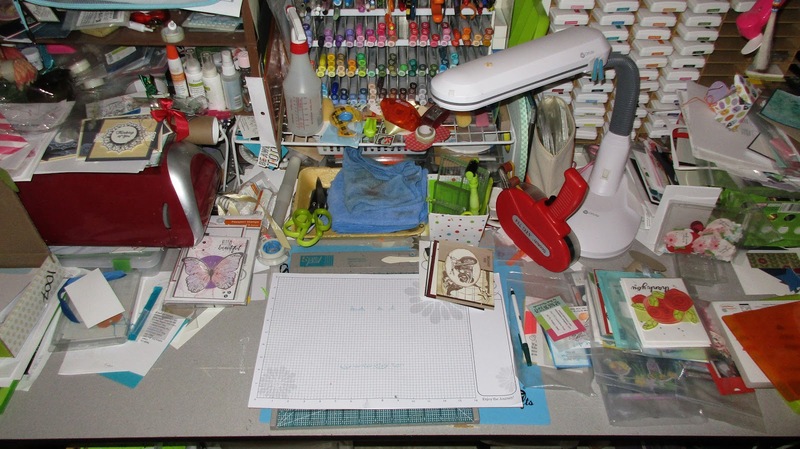 Ok, now please head over to the Stamping Ground and check out the links to oodles of desks! Since I'm home today I'll be running around between house work and such. I have a friend that lives in Queen Creek. It sounds like you made quite the haul - good for you!! The ATCs are lovely. Thanks for sharing! The ATC's are fantastic! I've never made one but these inspire me with ideas. How nice to exchange them! Have a great week. New goodies! What fun. Four hours???!!! Wow that must have been a lot of stuff. 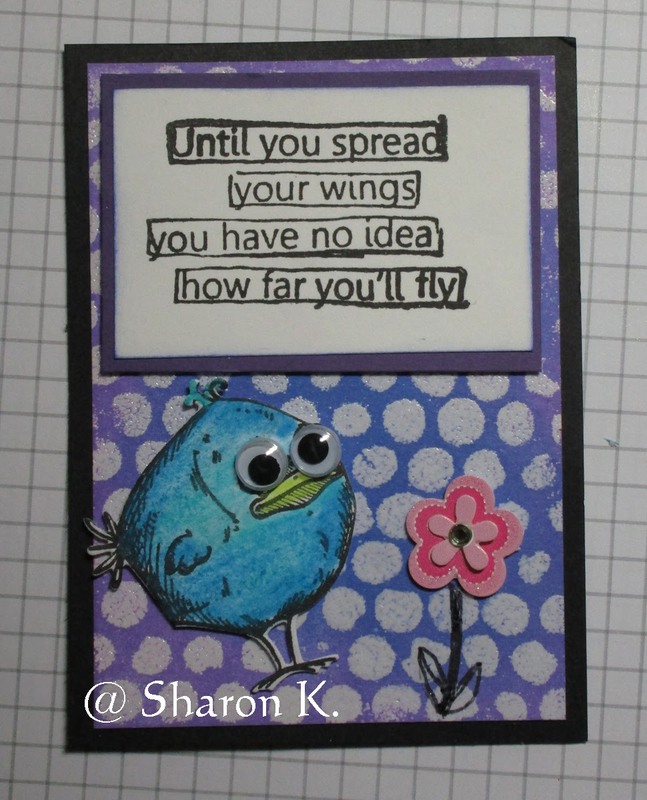 I had fun making my ATC - loved making the background. 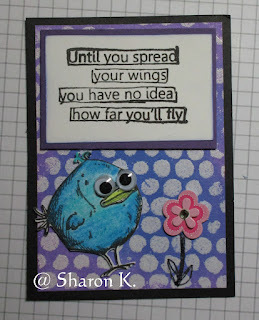 That Crazy Bird ATC is great. Lucky you. Have a great week!